In this post, I’ll review the Audio-Technika ATH-SPORT70BT headphones – great headphones for travelling, hiking and any sports activities you might think of. 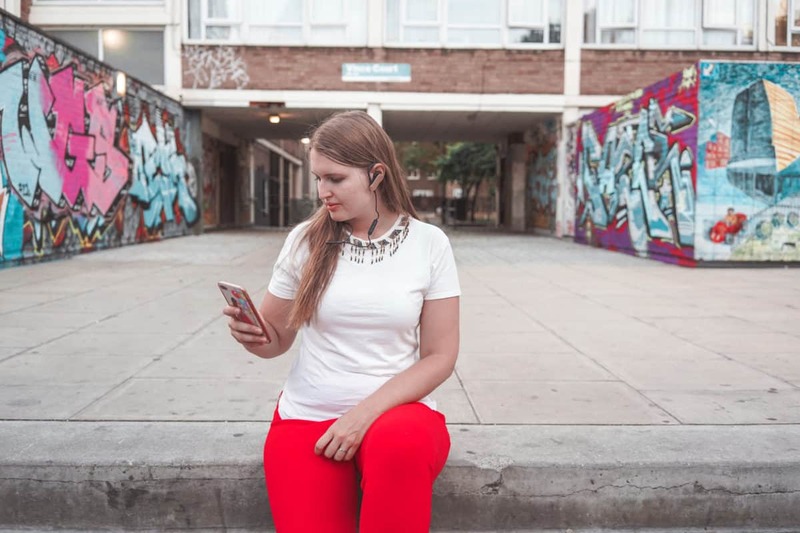 Why do you need compact wireless headphones? Have you ever been in a situation when you forgot to bring headphones to your trip and you were surrounded by noises instead of nice music? Or when you realised that you’d be doing a lot of exercise in your travels and the only headphones you had with you were your huge noise-cancelling headphones. Or a situation when your headphones were too big to take them with you on a trip because space was limited. I’ve been in all these situations so many times. Luckily, I developed a solution for myself: having a pair of headphones that are great for travelling, sport and are small and compact and… wireless. 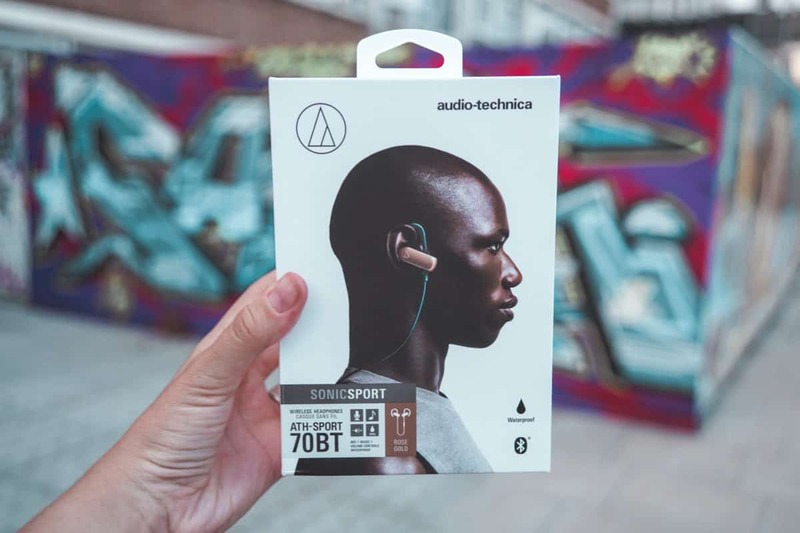 Having wireless headphones from Audio-Technika ATH-SPORT70BT changed my sports life as well as travel life – there are no wires, the headphones are small and never get tangled. When I go hiking during my trips or just generally in the UK, I don’t want to have my smartphone in my hands all the time, nor I want it to be in my pocket (my iPhone is too big for that). 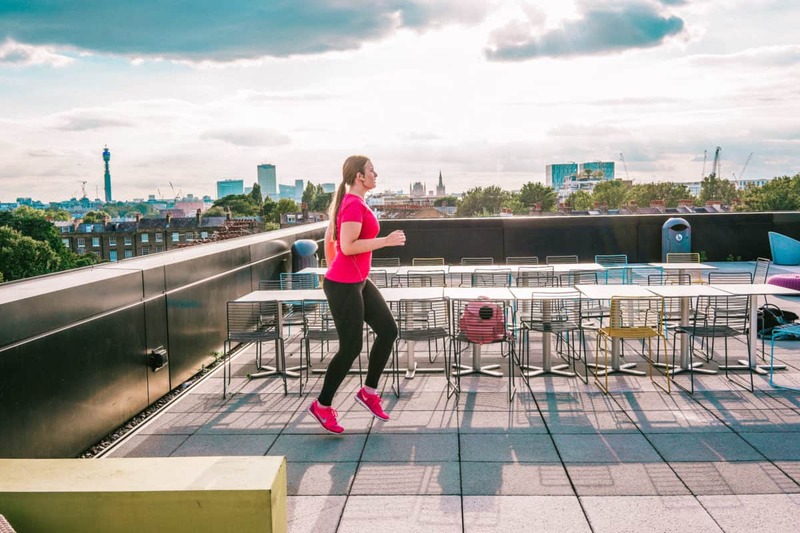 The same goes for sport – elliptical trainer, treadmill and a handful of other machines are super frustrating when you have wires all around you (I even fell once from the elliptical machine). Let me tell you more about the ATH-SPORT70BT model from Audio-Technica that I currently own and use. These are compact Bluetooth headphones that come in a very stylish box. They come with a charger as a very compact and useful case for storing the headphones (so they don’t get lost in your bag). The headphones last for up to 6 hours (enough for a good hike or a couple of runs) and are sweat and water resistant. They also have a touch control function that lets you make the sound much quieter with just one touch, which is honestly amazing when someone starts talking to you, or you need to be attentive in one second. They also come with a variety of ear “plug” sizes so you can find the one that fits you best. 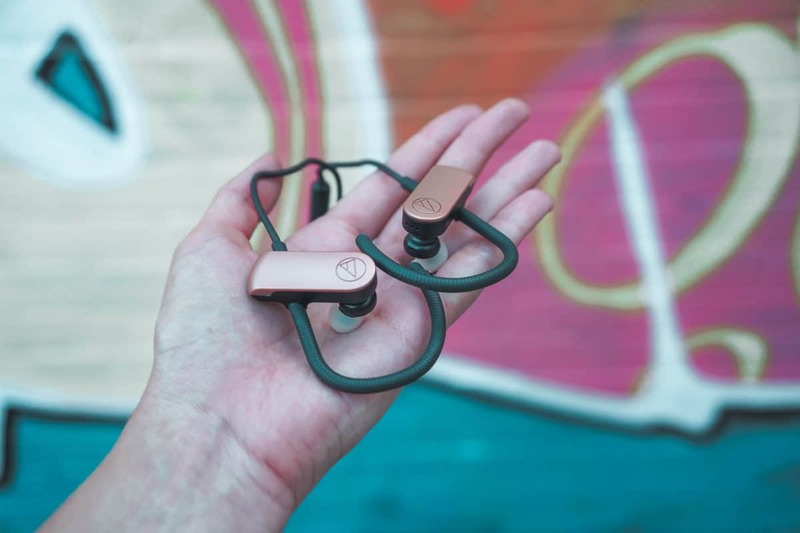 Audio-Technica ATH-SPORT70BT headphones come in two colours – black and rose gold, and I’m honestly in love with my rose gold model, as it looks fantastic in real life and on Instagram photos. The headphones are currently marketed at £119, and you can buy them here. I really like the ATH-SPORT70BT headphones and find them very useful during my trips (while doing activities) and when doing sports as well. The standard “plug” size didn’t work for me that well, as the headphones kept falling out when I was running (good thing that they are still fixed on the ear and there is no chance of them falling and being lost), so I changed it for a different size (all sizes come with the headphones, no need to buy anything else). I liked the controls of the headphones and I just wished they had more “bass” sound, as I like listening to powerful EDM music when working out. However, it happens with all the Bluetooth headphones in the sports range and the end, I don’t mind it. I would definitely recommend these headphones if you work out and hike a lot and it’s a great inexpensive option for active travellers. Disclaimer: please note that this is a sponsored post, however, all opinions are as always, my own.